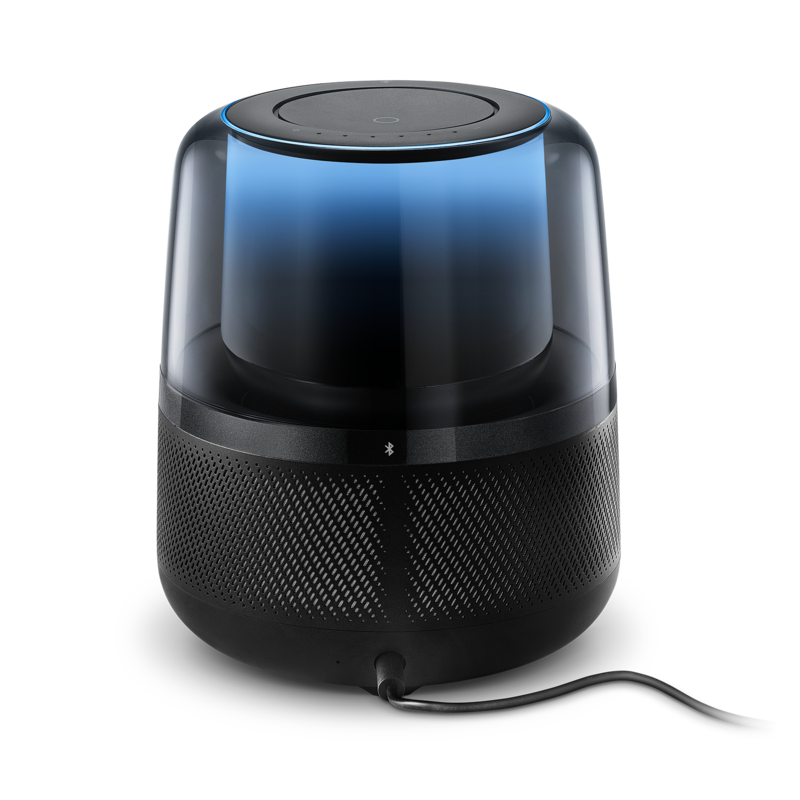 Connect to Alexa through dual band Wi-Fi, just ask and Alexa will provide information, place an order, play music, and more. It’s always getting smarter and adding new features with thousands of Alexa skills. 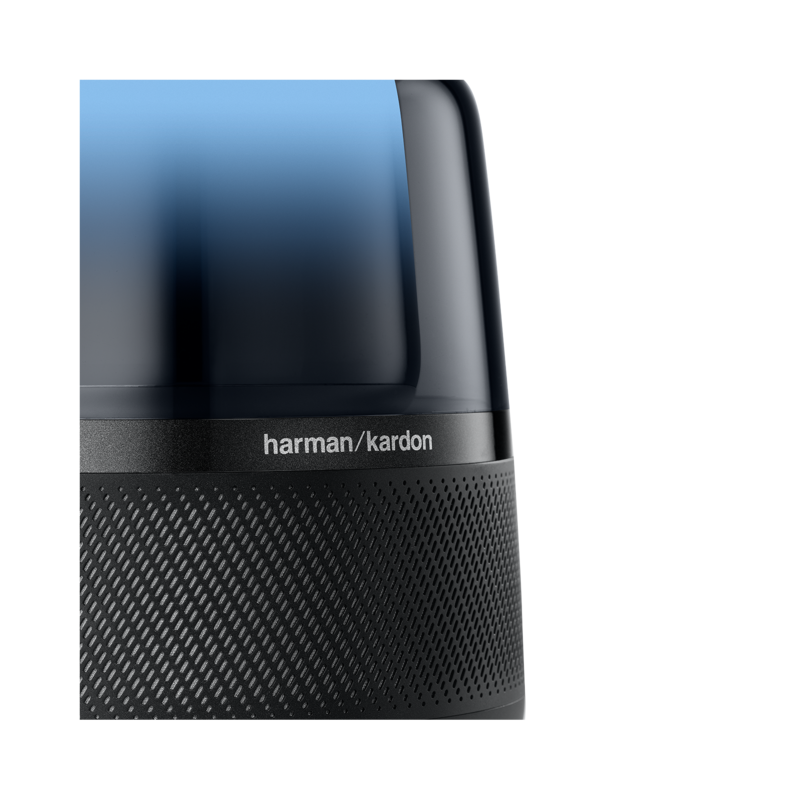 Built-in 4-microphone array with advanced noise cancellation technology allows for hands-free voice control from across the room. Stream room-filling music wirelessly from your mobile devices via Bluetooth. Omni directional transducers and built-in subwoofer produce 360-degree of rich and powerful sound that fills up every corner of the room. 360-degree, multi-colored and responsive lighting in an iconic design to elevate and enhance any décor. 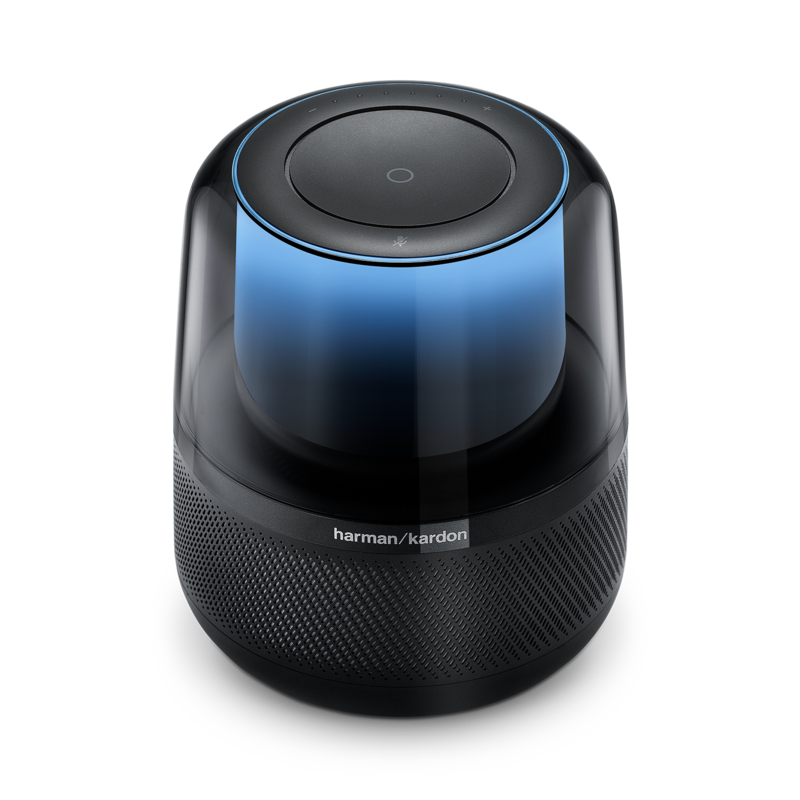 Harman Kardon Allure is a voice-activated speaker powered by Amazon Alexa Voice Service in a beautifully crafted design. 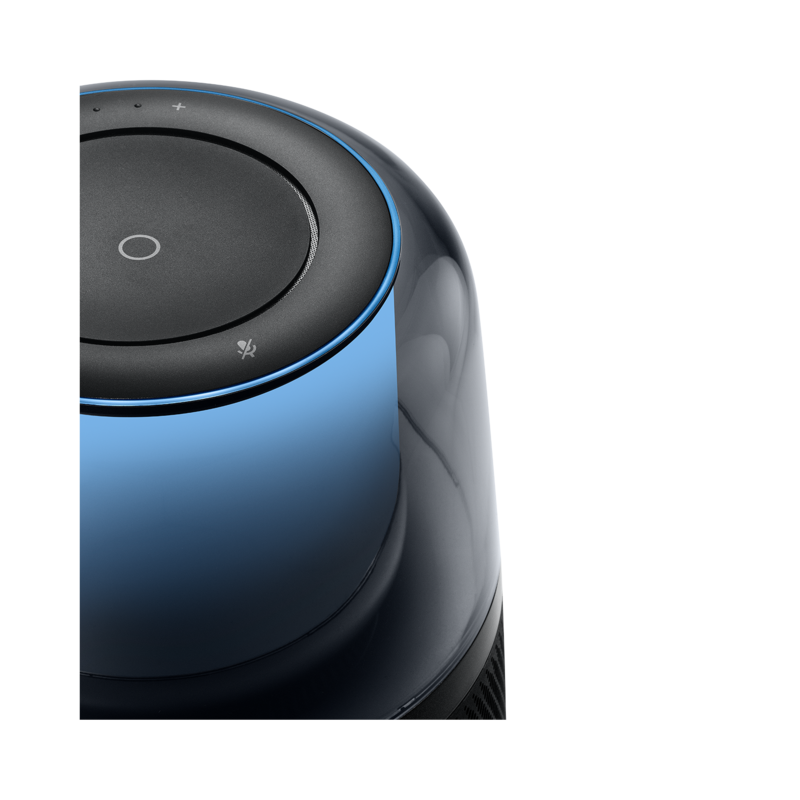 Thanks to the built-in 4-microphone array, far-field voice recognition enables Allure to hear you from across the room. 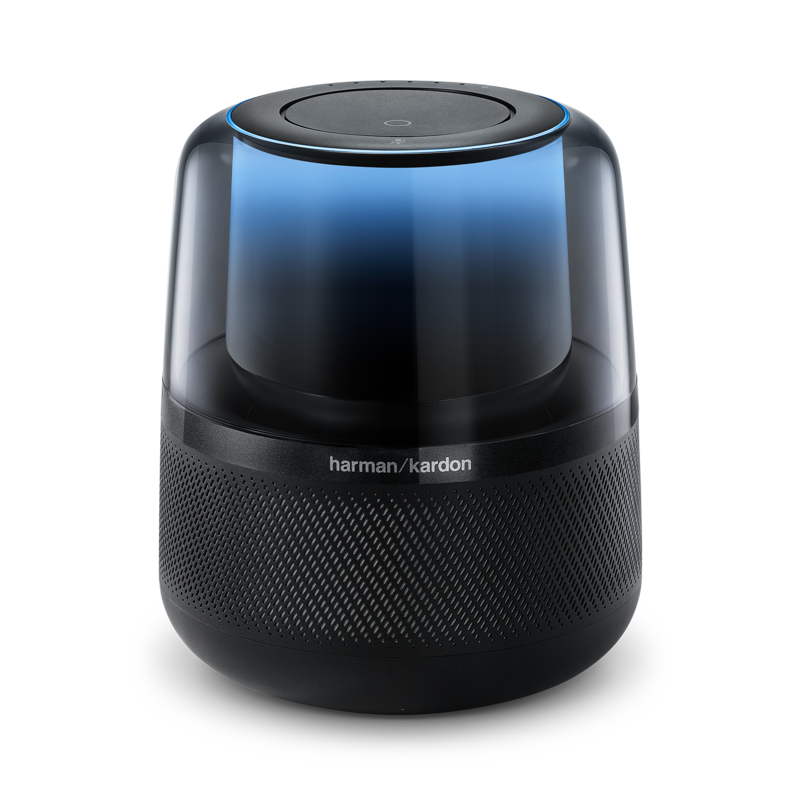 Dual band Wi-Fi connects to Alexa Voice Service, just ask and Alexa can answer questions, play music, place an order, control your smart home, and more. 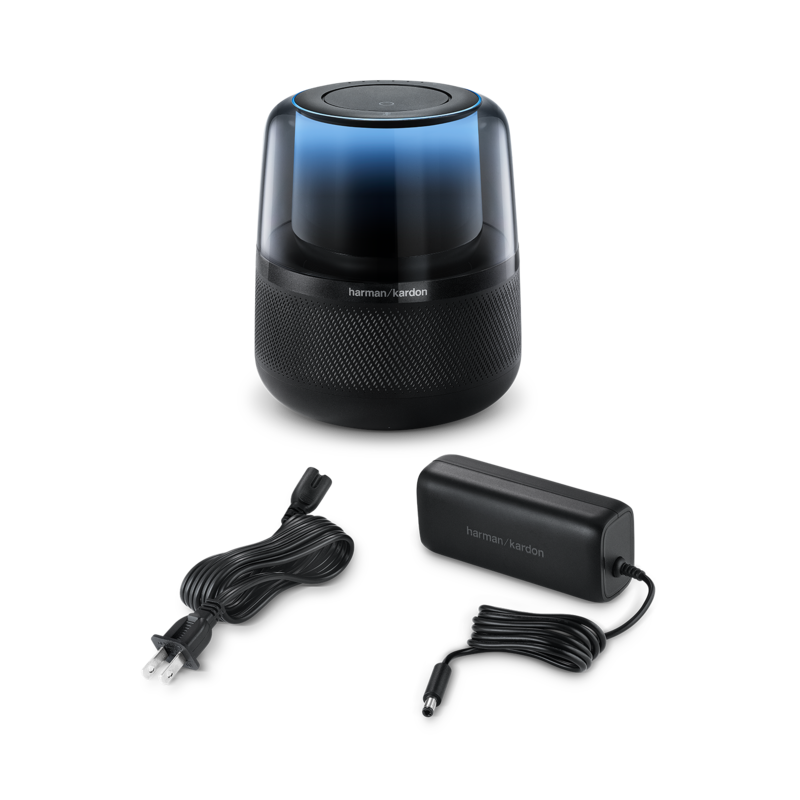 Its 360-degree sound fills up the room while the bass that you love thunders out from the built-in subwoofer. The 360-degree and responsive lighting animates the semi-transparent body provides a stunning design element to your home. You can also stream your favorite music from your mobile device via Bluetooth.